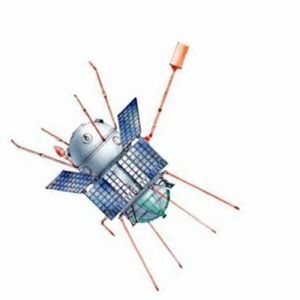 Ukrainian gamma ray astronomy satellite. Cosmos 461. Measured micrometeoroid impacts and gamma rays. Astronomy, X-ray, Gamma satellite built by Yuzhnoye, Russia. Launched 1971. Used DS Bus. Status: Operational 1971. First Launch: 1971-12-02. Last Launch: 1971-12-02. Number: 1 . Gross mass: 680 kg (1,490 lb). Family: Astronomy, Gamma ray astronomy satellite. Country: Ukraine. Launch Vehicles: R-14, Kosmos 3, Kosmos 11K65M. Launch Sites: Plesetsk, Plesetsk LC132/1. Agency: MO, Yuzhnoye. Bibliography: 2, 6, 99, 12285. 1971 December 2 - . 17:30 GMT - . Launch Site: Plesetsk. Launch Complex: Plesetsk LC132/1. LV Family: R-14. Launch Vehicle: Kosmos 11K65M. Cosmos 461 - . Payload: DS-U2-MT s/n 1. Mass: 680 kg (1,490 lb). Nation: Russia. Agency: MO. Program: DS. Class: Astronomy. Type: Gamma ray astronomy satellite. Spacecraft Bus: DS. Spacecraft: DS-U2-MT. Completed Operations Date: 1972-12-14 . Decay Date: 1979-02-21 . USAF Sat Cat: 5643 . 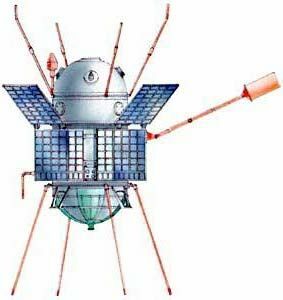 COSPAR: 1971-105A. Apogee: 510 km (310 mi). Perigee: 487 km (302 mi). Inclination: 69.00 deg. Period: 94.60 min. Measured micrometeoroid impacts and gamma rays..